A Pair of large Rainbow Feather Wings with rainbow design ??? Ideal for any Pride events, or any colourful fancy dress occasion! 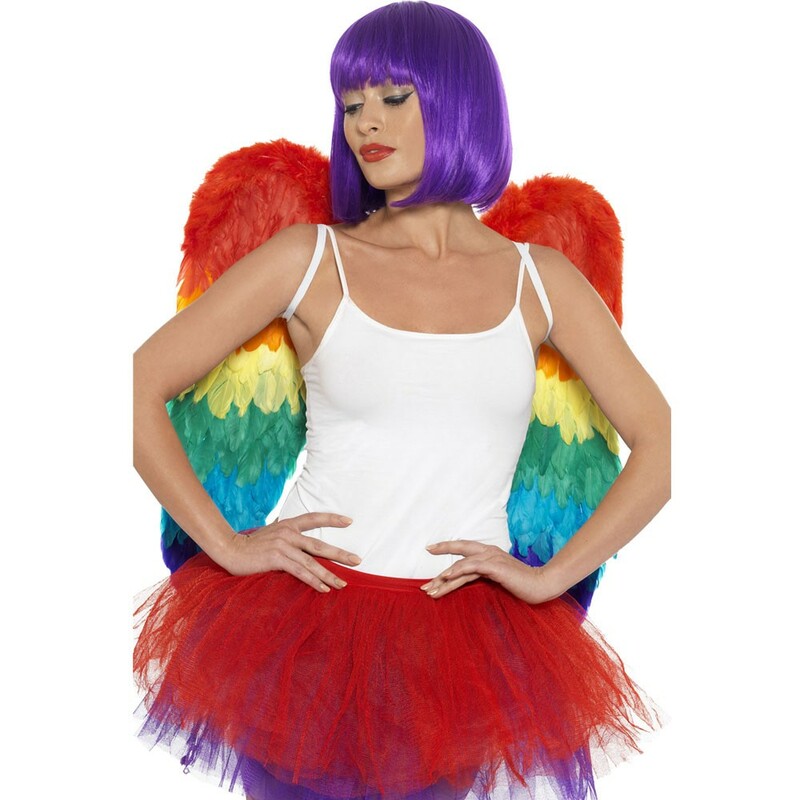 Add a splash of colour to your fancy dress look with these fantastic Rainbow Feather Wings. These large Rainbow Feather Wings have a multi-coloured layered design, and feature elasticated straps for ease and comfort. 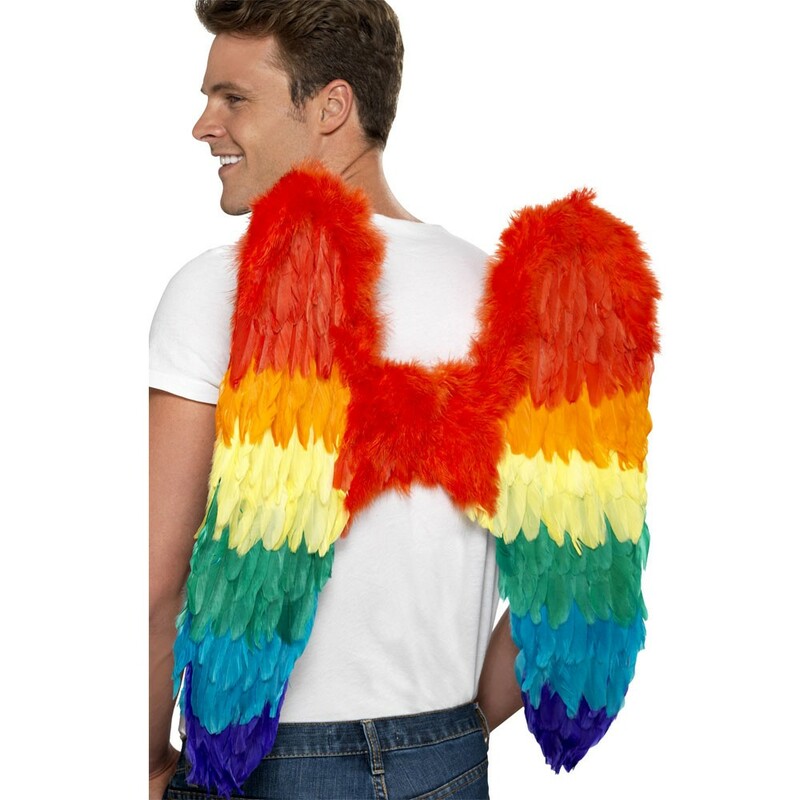 The Rainbow Feather Wings are perfect for pride events, or any other colourful fancy dress occasion. Wow the crowds with these stand out Rainbow Feather Wings, no matter what the occasion! A Pair of Large Rainbow Feather Wings.